EXCELLENT FIND! 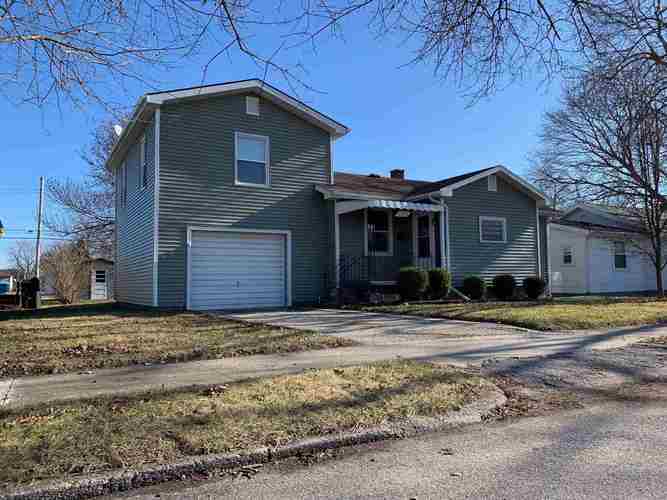 Look inside this 3 Bedroom, 2 Bath 1.5 Story Home. Just off Business 24 & Neighboring the Nostalgic Huntington Drive-In Theater, this home offers Affordability, Storage, and is Move-In Ready! Seller has freshly painted & new floor coverings (in progress) to compliment the already Gorgeous Hardwood Floors throughout. Several Updates within the past 5 +/- Years (Roof, Siding, Several Windows & More). Appliances are Negotiable (Range; Refrigerator; Washer & Dryer). All this and the Seller is even offering a 1yr HSA Home Warranty! Directions:From Downtown Huntington (Jefferson & Park Dr): E on Park Drive road bends R & becomes Wilkerson St; follow to First St; turn L follow to Old Business 24 (bending R) follow just past Huntington's Drive-In Theater; turn R onto Harris & Home is on L.